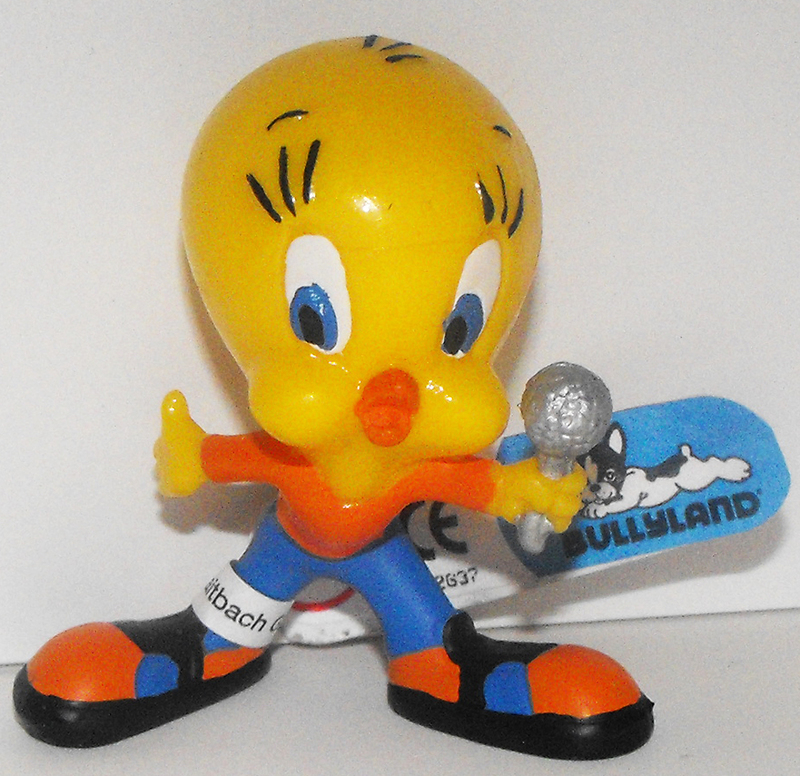 Tweety Bird Singing into Microphone Looney Tunes Plastic Figurine, 2 inches tall. Brand new and never used and made by Bullyland in 2000. This figurine comes loose without any packaging but comes with Bullyland tag.